This Holiday Season is upon us, there's no escaping it now. Stumped on what to buy some of those names on your list? Check out our Holiday Gift Guide for some great ideas for friends and family this year under $500! This Larimer Triangle End Table is the perfect choice with built-in magazine racks. Keep your favorite magazines, books, and tablets close by with this end table. For only $129, this transitional table in a rich brown finish easily coordinates with all types of homes from traditional to contemporary. Shop this End Table Now! 2. Buy One Get One Free! Otherwise known as, one for me and one for you, these Buy One Get One Free Slipper Chairs by Angelo Home are a great deal and a great accent to add to any room. With six fabrics to choose from, you can get two matching and create a pair or choose two different fabrics - whichever you'd like. Shop these Chairs Now! 3. For the Wine Lover! Display a concise collection of some favorite wines with this cottage wine rack. 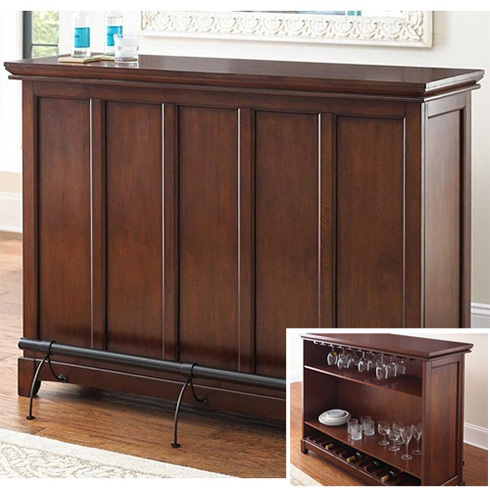 Place your essential tools like a wine opener and bottle stopper inside the single drawer and this petite piece creates an accent area that everyone will love for only $199. Shop this Wine Rack Now! The Martinez Bar Unit features a bar height counter space, foot rest bar, open shelving, a wine bottle rack, and hanging wine glass slots. This piece is perfect with or without barstools and looks beautiful in your home with decorative molding and a beautiful cherry finish. 5. For the Movie Fan! Whether you're watching movies, a TV show, a big game, or playing a video game everyone needs some organization for their television components. 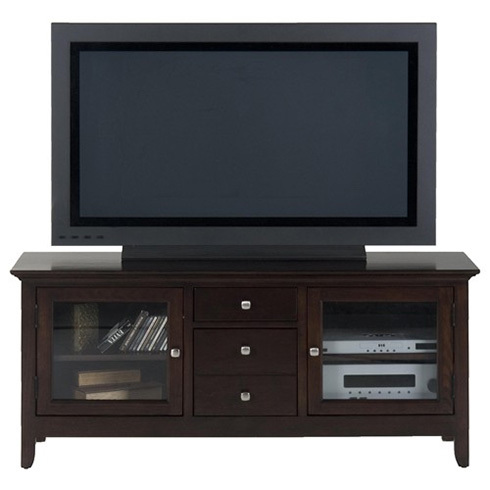 This Fresno Media Console features a beautiful merlot finish and sleek, clean lines. Storage is key and at this $455 price point this TV console features two glass doors with adjustable shelves plus hidden storage in the center. Shop this TV Console Now! 6. For the Relaxed One! Maybe someone on your gift list is a pro at relaxing, or maybe they could use a little help - either way, a recliner is a great gift for someone to kick back and catch some z's! These recliners, all $399, represent the range of styles available at Belfort. 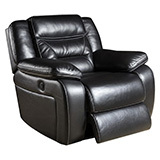 Shop Recliner's Now! These gift ideas only scratch the surface of what's possible when you do your holiday gift shopping at Belfort Furniture! Visit our showroom to view many more gift options with in-stock furniture and home accents available for pick-up now. Conveniently located in Dulles, Virginia Belfort Furniture's campus is home to more than 100,000 square feet of showroom space. Spread out throughout four showrooms, there's plenty to walk through and we're sure you'll find some inspiration perfect for your own home.